New year – new studio set-up? We know, we know – you’ve probably been bombarded with blog posts about setting your resolutions for 2016. However, we are about to present you with some tips that will make your semester more successful, your home studio more efficient and your life as a designer much easier. It’s time to match your design environment with your design process. If you were to move everything out of your space, would you want to move it all back in? Are you hanging on to fabric you will not use or half-finished projects that are best retired permanently? If so, let them go. Donate, recycle or trash. Are inspirational images from three seasons past still lingering on your inspiration board or fabric swatches that were contenders but never made the cut still cluttering your desk? It’s time to file them away, or better yet, let them go. Try to focus on your design goals for the coming semester, season or year and purge/keep accordingly. What are your design goals for 2016? Start by getting your space in order! Think about your natural design process. Once you’ve eliminated that which does not support your future goals, get real about how you design. Do you drape your work first, or do you begin with a flat pattern? Does your design process begin with illustration or do you create your collection with CAD? Do you gather inspirational images as a starting point? Maybe you simply start with a notepad of fabrics you want to take a look at on your next trip to the fabric store. Determine how your space could better be organized to accommodate your design process. Let’s say you begin by collecting inspirational images you will revisit as you design. Place a bulletin board where it can be seen from your pattern table, your sewing machine and your dress form. Create a work space underneath where you can illustrate, create in CAD, cut from magazines, print out images and file inspirational images from seasons past. A space-saving tip: A file cabinet that rolls underneath your desk can not only house files, but also pattern making and sewing tools that are not currently in use. If draping on the form drives your design, your dress form should take center stage along with your fabric organized by content, drape, color or use. Perhaps your will locate your dress form is in between your pattern table and your sewing machine for easy access. If you are able to create floor to ceiling bookshelves on one wall, you have unlimited possibilities in terms of storing your fabric – not to mention creating a wall of inspiration as your work. 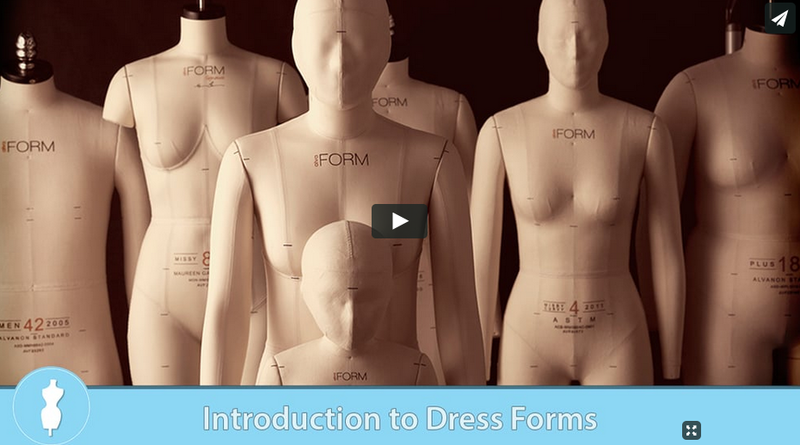 Do you begin designing by draping on a dress form? Finally, if you start at the pattern table, create a system where you can focus on one pattern at a time. Invest in a hanging rack designated for paper patterns and their corresponding oaktag slopers to avoid stacks and stacks of pattern pieces. Or if you are limited on space, add big envelopes and bins to your shopping list that you can stack underneath your pattern table. 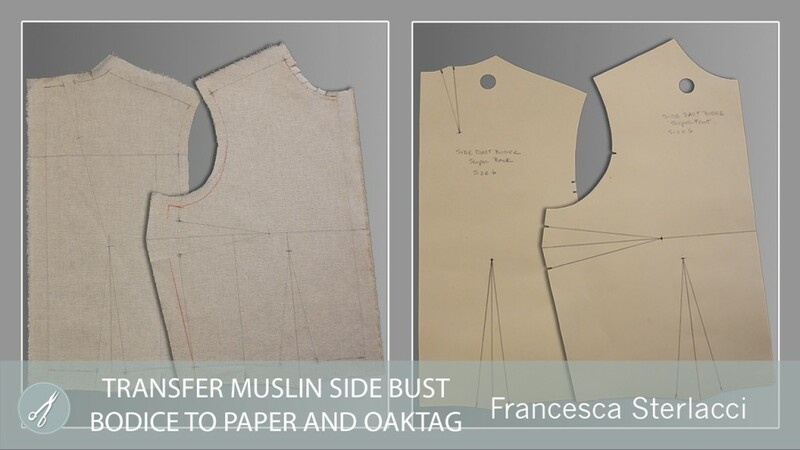 Speaking of transferring patterns to paper and then oaktag, did we mention our latest video release Transfer Draped Side Bust Bodice Muslin to Paper and Oaktag? The block you will create from this lesson is a must for your newly organized sloper library. We would love to hear your tips on organizing your design studio. Send us your tips and pics – here’s to an organized and productive 2016! Header image and additional inspiration found here. Homepage » Fashion Tips » New year – new studio set-up?